SEPTEMBER 2007 -- Hi! How was your summer? We sure have had all kinds of weather. I hope some of you were able to enter the CWA contests that were judged at the “Let’s Celebrate” day. They were either making a chair or something to do with music. Also, there was a contest to make your favorite cookie. The Juniors had a hot dog stand at the “Let’s Celebrate” event. I’ll let you know how we made out in the next issue. I’m looking forward to seeing the crafts for State Session. Remember, they are a historic craft for Nevada, recycle craft or paper products, also a recycle craft using milk jugs. Some may enjoy making a bird feeder out of anything or making a duster out of a work glove. Please have your crative writing to me by October 1, 2007. I’d really appreciate that. 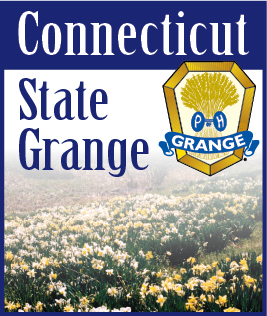 The theme for the creative writing is “If I had 3 Wishes to ask of a Genie, I would ask for...” Also don’t forget the Welcome Posters to welcome National Grange in 2008. Boy, it sure looks like a lot going on. I guess I had better stop talking now. See you soon. Love ya!